Coming from Nîmes, arriving at the roundabout at the entrance of the village, then make a U-turn (do not enter the village), retrace your steps for about 200 meters, slow down and take the first right after MALACHANNE company and again immediately right, we are higher. Coming from Avignon, at the roundabout at the entrance of the village, do not enter SAZE, but continue straight towards Nîmes for 200 meters. Then slow down and take the first right, after the company MALACHANNE and again immediately right, we are higher. Montpellier airport at 50 minutes. Marseille airport at 01 hour. 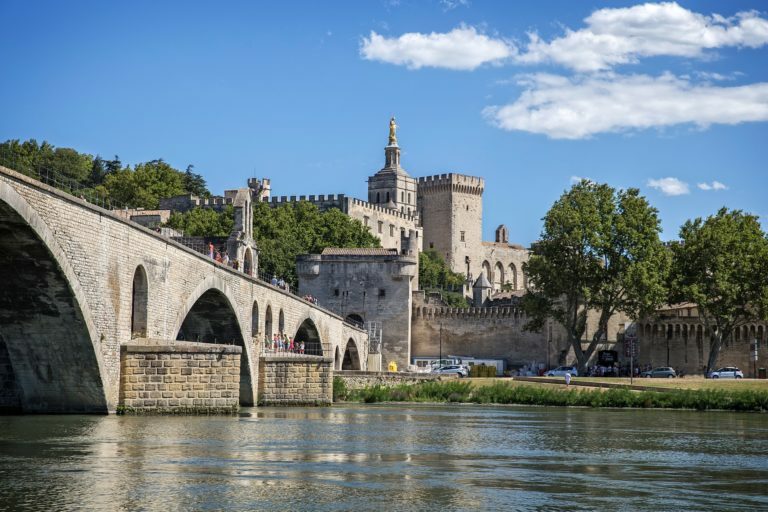 Avignon, city of art and city of the Popes, famous for its theater festival in July, its Palace and its golden virgin and the famous bridge overlooking the Rhone. 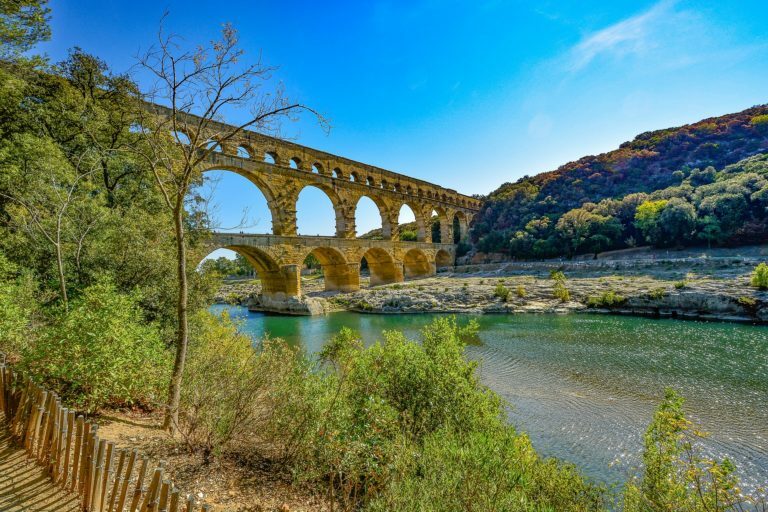 The historic sites of the region are well worth a visit: Nîmes and its arenas, the architectural heritage of Arles, Orange and its ancient theater, Vaison la Romaine and Pont du Gard, great work of antiquity. 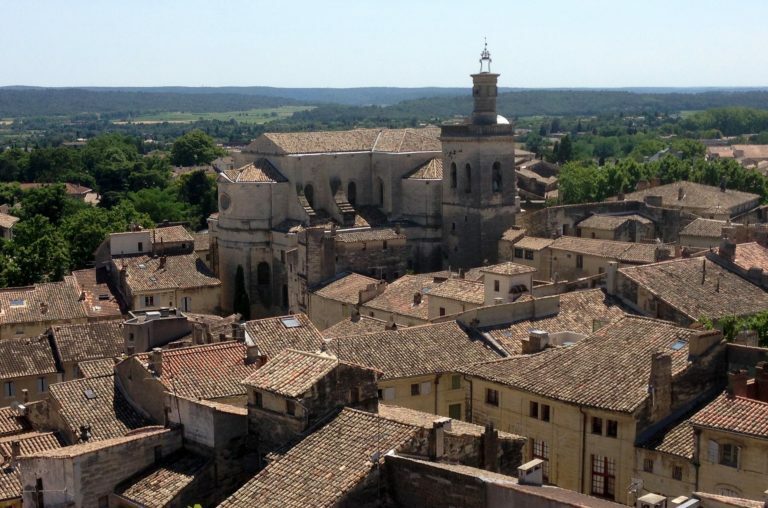 The Provencal villages will charm you with their regional atmosphere: St Rémy de Provence and its shady café terraces where you can rest, Uzès and its typical market in the medieval streets and Isle-sur-la-Sorgue famous for its antique shops and its river along which it is pleasant to hunt. For lovers of beautiful stones and nature, the villages of the Alpilles, the calades of Gordes, the castle and the old houses of Les Baux de Provence, the red ocher of Roussillon and the Gorges du Gardon for a small swim, are also good addresses for interesting visits. The innumerable Côtes du Rhône cellars where you can taste the wines of Châteauneuf du Pape, Tavel, Lirac. For a day trip many possibilities are available to you: * Saintes-Maries-de-la-Mer or the Grau du Roi will please children who love sandcastles. 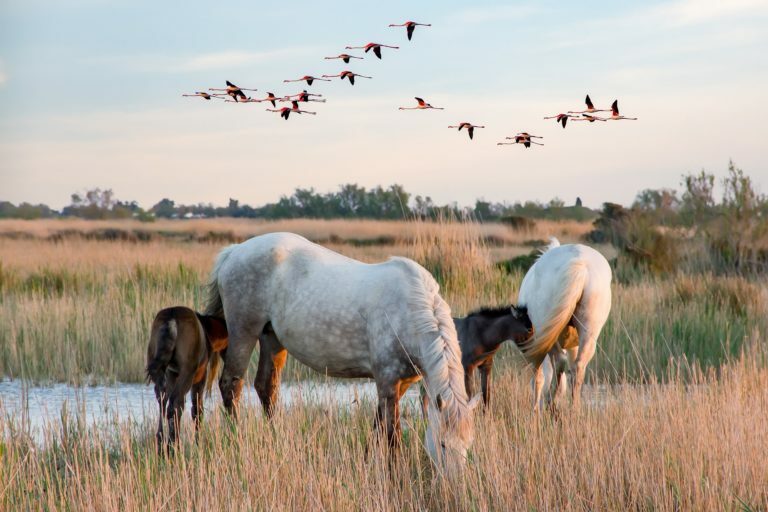 * The Camargue with its vast expanses where galloping horses, bulls’ manades and flamingos rub shoulders in a wild nature. * The Luberon, a mountain barrier between the Alps and the Mediterranean, with its vast fields of lavender, its perched villages and its atypical symbol bories.